It’s time for mothers, daughters, sisters and friends to gather at this annual, elegant event. 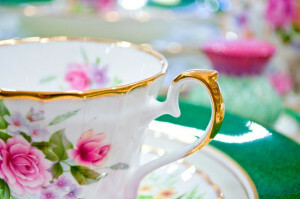 The tea will be held in Mary & Martha’s Tea Room (AKA the Grace Center Multipurpose Room). Reservations are requested by May 2 (or earlier), seating is limited. For tickets, please see or contact Jennifer Fischer (612-781-1117 or Snooky1022@comcast.net) or call the church office at 612-788-2444. The tea is a fundraiser; $5 of the $15 ticket is tax deductible. Hats are strongly encouraged, and no jeans please. The event will include a quilt raffle and small marketplace available before and after the tea. If you would like to donate handmade items for sale in the marketplace, the MDSF Tea Team suggests items that are knitted, crocheted, sewn, embroidered, cross-stitched, or are jewelry or ceramics. If you have questions about what to donate, please see or speak with Jennifer Fischer or Kathy Munson. ← QGC April and May Events!